When Nicholas Katruska was a freshman at Shadle Park High School, it began to look as if he’d follow the family tradition of not graduating. His attendance was sporadic and his academic work poor. Katruska and his siblings were living with their father in what he described as an unstable and unsupportive situation. Things were spiraling downward, and he had a bad attitude. And then, Shadle counselor Almedina Becirovic helped him get into the Bridges Program for students who were about to fail, and he began doing well in school for the first time. Katruska soon moved in with his grandmother Jody Sams and attended summer school. She was a stabilizing influence and helped him with his school work, Katruska said. But when she moved to Arizona, he again needed a place to live. The fluctuations of his home environment were always an issue and potentially destabilizing. But Katruska’s uncle, Erik Herr, gave him a home, and he’s been with him ever since. That spot is just days away from earning his high school diploma, the first in his family to do so. Katruska, 18, splits his time between the curriculum at Shadle and attending classes at On Track, a personalized program to help students earn their diploma by doing coursework at their own pace. 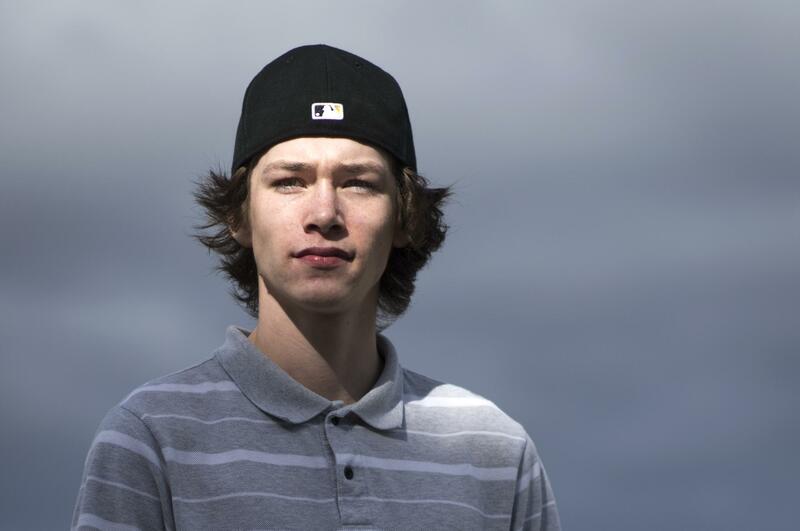 He participated in the Youth Police Initiative at Shadle and likes to skateboard with friends. He maintains contact with his mother and father. He hopes to enroll in a vocational program this fall, but his first priority after graduation is to find a job. And the desire to do it, added his counselor. “I know this means the world to him,” Becirovic said.